GreenPois0n is now available for download. If for some reason Limera1n didn’t work for you, you can give this one a try to jailbreak iOS 4.1 on iPhone 4, 3GS, iPod touch 4G / 3G and iPad. Support for iPod touch 2G and Apple TV will also be added soon. This release of GreenPois0n is based on Limera1n’s exploit. SHAtter exploit has been saved for the next-gen iOS devices. This is Windows only release. Mac version is said to be available soon. 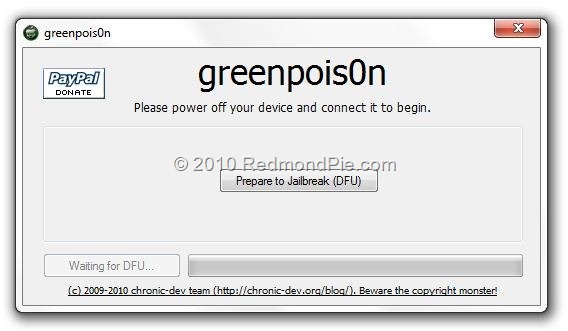 UPDATE 1: Complete step by step instructions for jailbreaking iPhone 4, iPhone 3GS, iPod touch 4G / 3G and iPad using GreenPois0n can be found here.